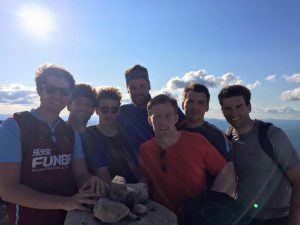 Jonathan Pickles, Chris Fuller, Jonny McKenna, Andy Collins, Paul Dugdale, and Neil Stansfield raised money for the Cystic Fibrosis Trust http://www.justgiving.com/JonnyPickles/ by completeing the Three Peaks Challenge. 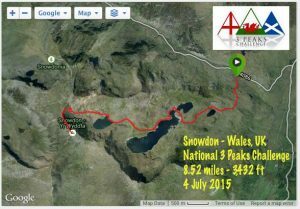 The Three Peaks consist of Ben Nevis in Scotland, Scafell Pike in the Lake District, England and Mount Snowdon in Wales. 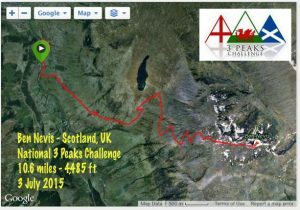 The challenge invloves walking and climbing all three peaks in under 24 hours! The guys finished in 23 hours and 40 minutes. The driver was the lovely Aimee who kept them jolly along the way! Well done lads a great effort.